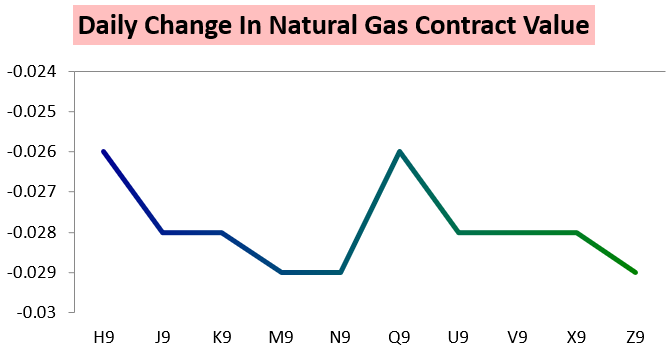 The March natural gas contract dipped about a percent on the day as the winter strip dragged down the front on concerns of oversupply following several loose EIA storage numbers. Strong cash prices helped March settle as one of the strongest contracts on the day. Prices were initially higher this morning on small overnight GWDD additions as well. 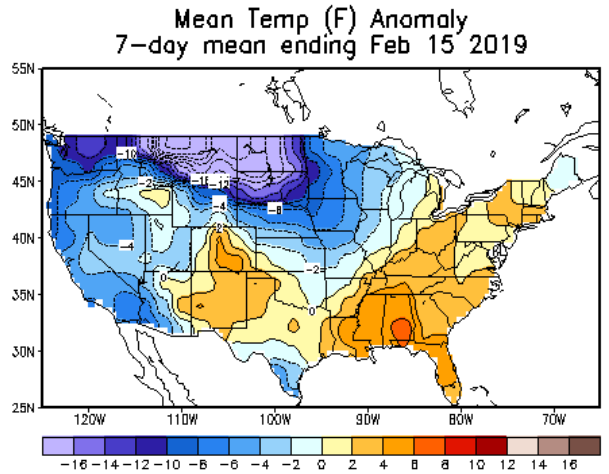 However, afternoon GEFS guidance was a bit less impressive with medium-range cold, and weak spreads pulled the March contract down as well. In the end the April/October J/V spread settled around flat, though for a while it was again trading narrower on the day. 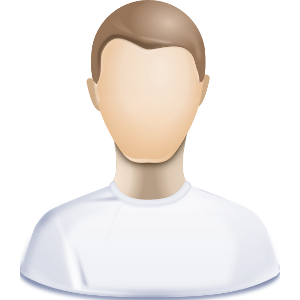 Most traders are focused on the EIA number coming out tomorrow morning, though, which should show a large draw following a solidly colder week last week. 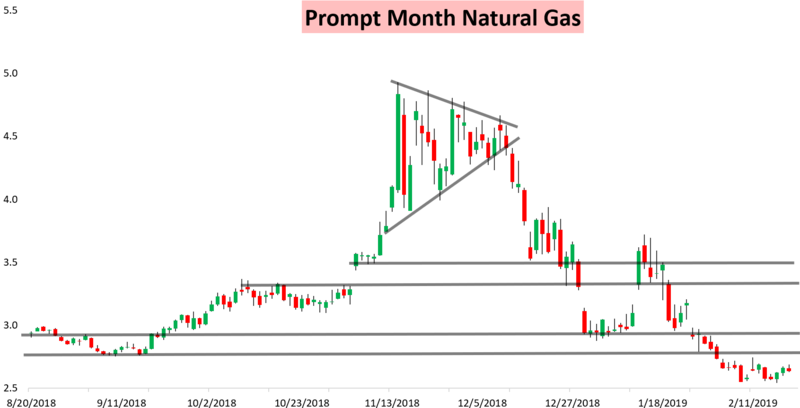 The last several prints have all been quite loose, which could help explain the weakness in natural gas prices the last few weeks. 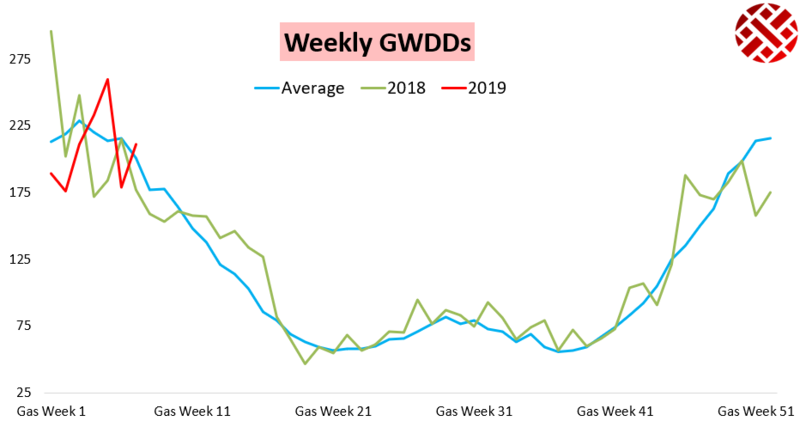 We would expect a significant reaction around this print, and in our Seasonal Trader Report for clients updated our forward storage expectations off of our 5-month GWDD forecast and latest reading of balance. 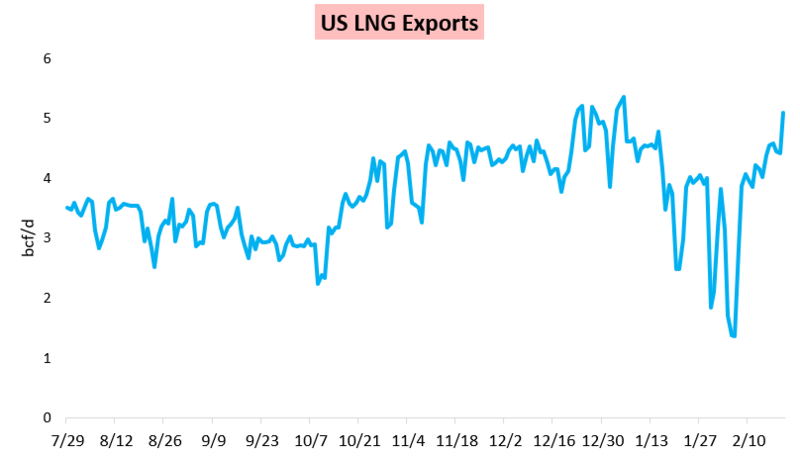 Of note in tomorrow's EIA number will be a return of LNG exports, helping explain the far larger draw versus the previous week. 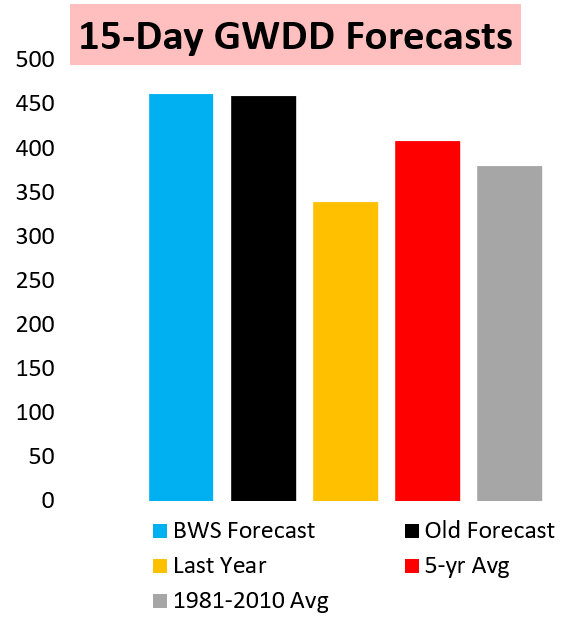 Yet even still the week was not all that cold, with GWDDs near seasonal averages. We would look for a large draw in the Midwest, which was coldest through early last Friday. Thanks for the updates Jacob. The weakness in gas prices definitely seems to be tapering off a bit this week.